The Union will face Wayne Rooney twice in August, including Rooney's first ever visit to Chester. Just under three weeks after announcing the Union’s first games of the 2019 season, Major League Soccer unveiled the full year’s schedule on Monday. The Union face a pretty difficult start: In March and April, they’ll make road trips to Sporting Kansas City, reigning champion Atlanta United, expansion team FC Cincinnati, Zlatan Ibrahimović's Los Angeles Galaxy and the Vancouver Whitecaps. May and June will be easier, with six of 10 games at home and just one road trip out of the Eastern time zone. It’s a tough one, to Minnesota United’s spectacular new Allianz Field on June 2, and there will be home games against the powerhouse Seattle Sounders and Portland Timbers. But there are also home games against lesser teams including the New England Revolution and Colorado Rapids, as well as the always-anticipated visit of the New York Red Bulls. June will also include a break for the group stage of the Concacaf Gold Cup, which starts June 15 and will include many MLS players. July starts with a home-and-away set with Orlando City, then has the Union on the road at Real Salt Lake and the Montreal Impact, with a home date with the Chicago Fire in between. By mid-August, it should be clear whether the Union are playoff contenders. 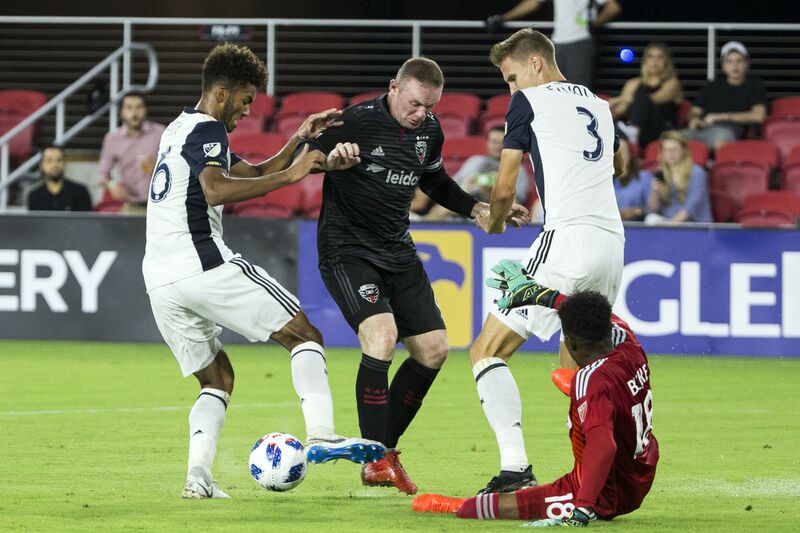 The month starts with the Union’s only national TV game of the year as of now, Aug. 4 at Wayne Rooney’s D.C. United on Fox Sports 1. Then the Union host the Houston Dynamo and visit Chicago. From Sept. 22 to 29, the Union will play road games at the New York Red Bulls, San Jose Earthquakes and Columbus Crew — with the San Jose game requiring a cross-country trip in the middle of the week. Then comes the regular season finale, Oct. 6 against New York City FC — the team that routed the Union twice to end the 2018 season. As usual, most Union games will be on Saturdays, but there will be an increase in midweek league games this year. Six games will be played on Wednesdays as MLS condenses its schedule to get the playoffs over with in mid-November instead of December. There will also be seven games on Sundays, including three of the last four games of the year. Though some Union fans complain about conflicts with the Eagles, MLS prefers Sunday games in the autumn because national TV has no room on college football Saturdays and ESPN and FS1 have much more latitude on Sundays, since the NFL is on other channels. On top of that, ESPN and FS1 have the right to flex games into national TV broadcast time slots from the weekend of Sept. 14 through the end of the regular season. Those decisions will be made a few weeks in advance. Wednesday, June 26: at New England Revolution, 7:30 p.m (PHL17).